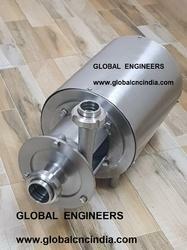 Owing to our rich industrial experience in this domain we are engaged in offering supreme quality Milk Pump. With a wide range of industrial application our Milk Pumps have been acclaimed for their sturdy structures, high performance values and durability. They are rust resistant, corrosion free and are developed with high quality mild steel and stainless steel. Moreover, the range of Milk Pumps that we offer is widely used in various in milk dairies, soft drinks and distilleries & breweries. - 220L -250L Vacuum Pump. 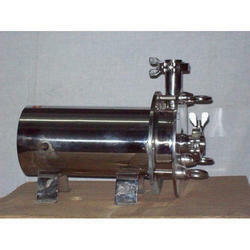 - For 2 Cows ; Vacuum Pump.